the fastest game server worldwide. All You Ever Wanted to Know About Game Servers. A game server is a computer online that hosts multiplayer games, 24h a day, 356 days/year, always on. But, not all game servers are created equal. Some game server providers talk a good game, but instead offer poor speeds, spotty service, and have frequent unexplained downtimes. A solid game server connects gamers from across the world and provides fast, reliable connections. Game servers can be anywhere from a high-tech data center to a closet in a bedroom somewhere. Here are some things to look for in a game server. What Kind of Game Server Are You Dealing With? A game server can refer to a few different things. It can be a computer that hosts the games on its hardware, the program that the computer runs on, or a peer-to-peer system that hosts mail, messages, and files that support a game. For most games you want a dedicated server that’s only job is to host games. Some servers host more than one game. As with all cloud computing functions, the more a server is tasked with doing, the less efficiently it will do all of the tasks. Darwin Servers is one of the most reliable game server providers in Europe. They never overload their servers. Instead, they are dedicated to providing a superior connection experience for all users. If you choose Darwin to host your game server, you won’t have to worry about downtime, bandwidth problems, or poor connection speeds. While there are many cheap software options available to let anyone create a game server out of their home, this strategy provides poor game performance and is usually frustrating for users. Most ISP’s have some form of residential bandwidth restrictions. This means that if your game server is hosting more than four to six players, the ISP will slow the Internet connection down between the server and the client computers. This can cause gamers to lose a connection, keep gamers from logging on, and creating a slow game environment. DARWIN Servers is a reasonably priced, professional cloud storage solution. Instead of operating out of a bedroom somewhere, or in a country with spotty Internet connectivity, Darwin has state of the art facilities. We offer game servers house in a fully staffed, professional server environment. Darwin is passionate about one thing, servers. It’s all we do. We are a cloud computing company whose mission is to make the Internet fun again. Nobody likes dealing with lag, getting cut off, or other issues. We provide the ultimate game server experience for client computers. When you place your game server on our machines you are getting state of the art computing power and industry leading customer service. Darwin also offers game server plans for any budget. Because Darwin is always ready to scale, no matter how big a game server you need, Darwin will always be ready to host for you. 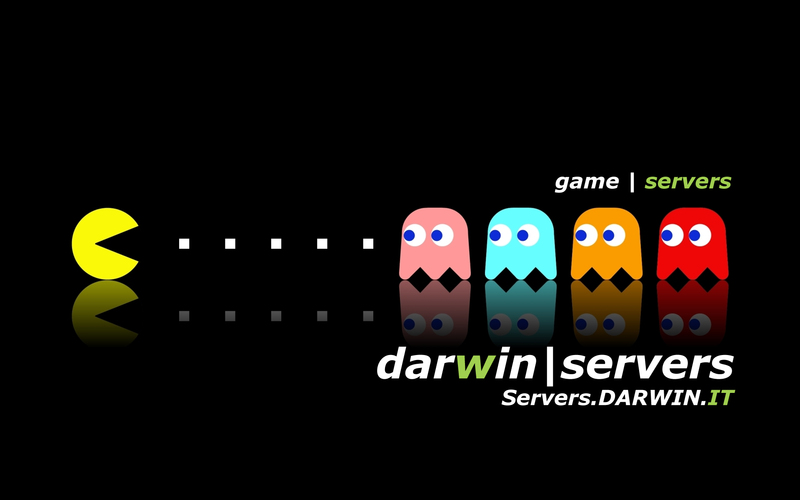 If you are serious about your game server, let us show you what we kind of difference DARWIN Servers can make.